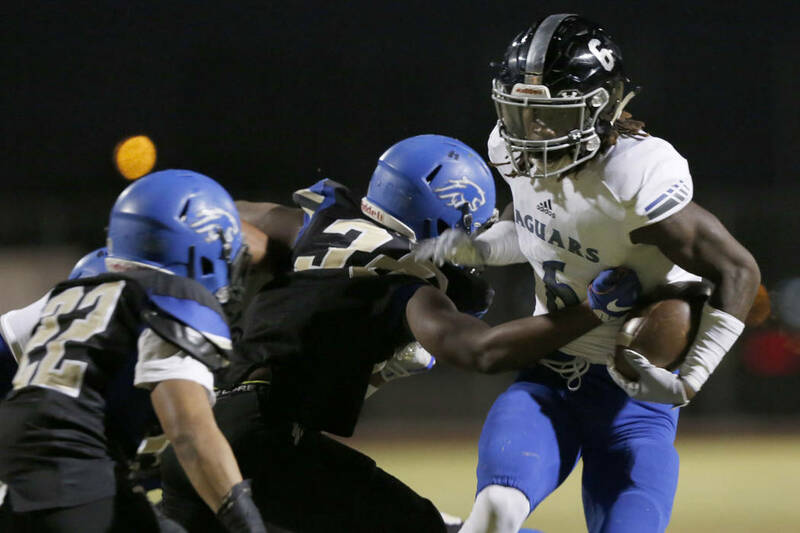 Cameron Wiley recorded his second straight 100-yard game and scored all three of his touchdowns in a span of about 11 minutes to power Class 4A’s fourth-ranked Jaguars to their third straight win. 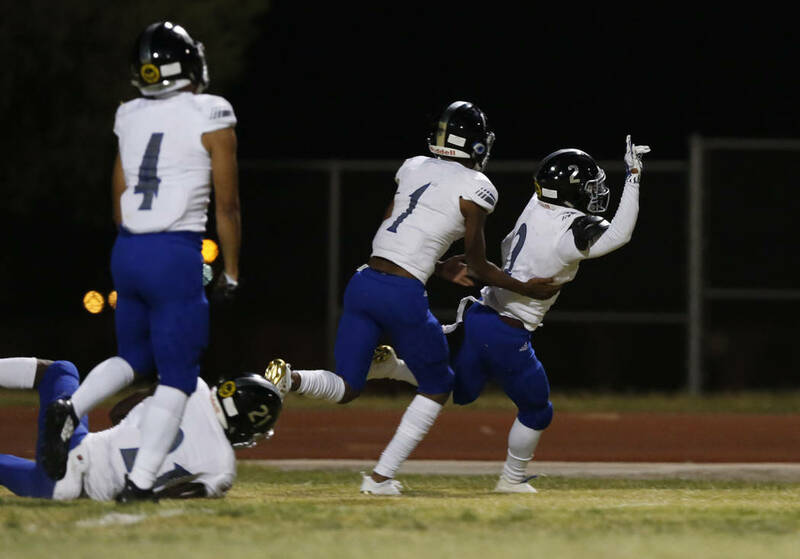 Desert Pines running back Cameron Wiley peeled the tape from his ankles, removed his helmet and perched near a pack of his teammates at Sierra Vista on Friday night. 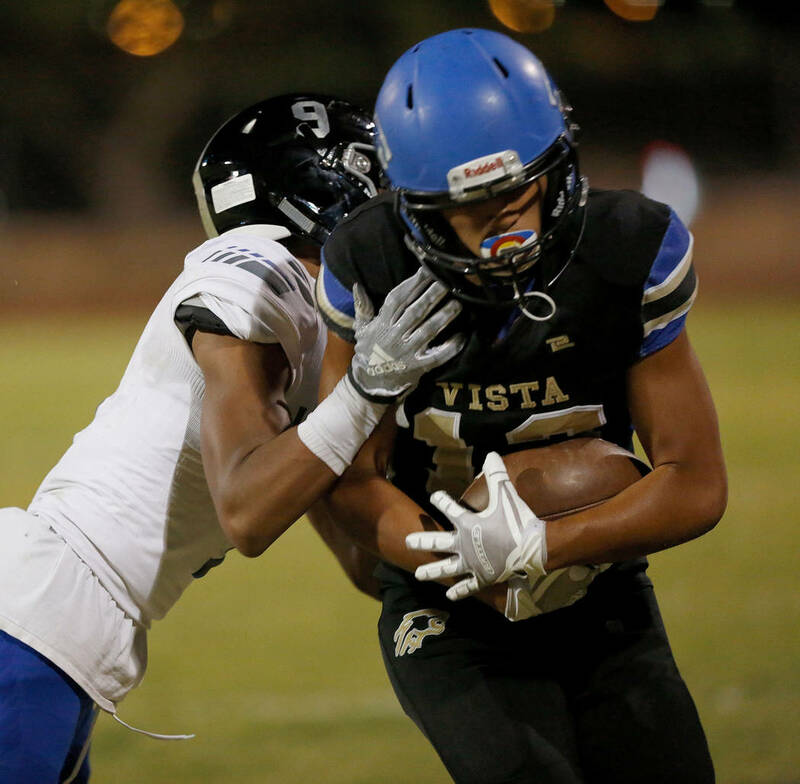 With 100 yards, three touchdowns and a 40-14 road victory over the Mountain Lions in hand, his night was over early. Well, the portion of it in which he played was over. He didn’t mind, though, because his senior season is just getting started. 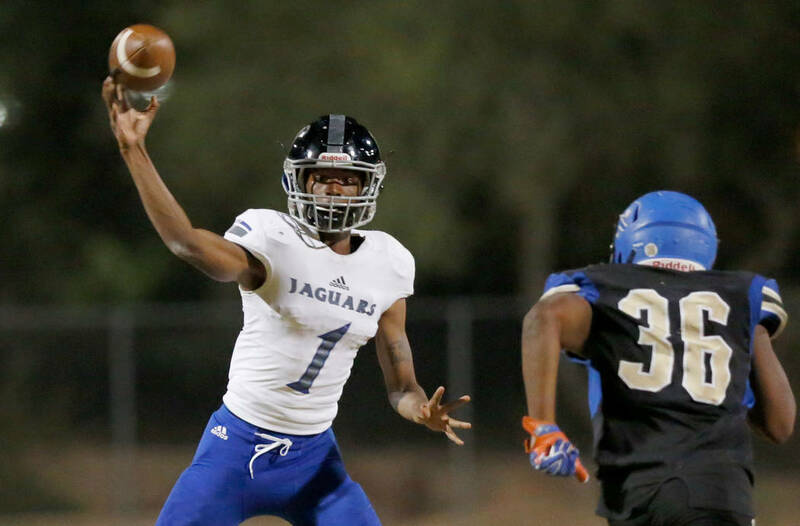 Wiley recorded his second straight 100-yard game and scored all three of his touchdowns in a span of about 11 minutes to power Class 4A’s fourth-ranked Jaguars to their third straight win — and set up their clash with No. 3 Liberty next Friday. 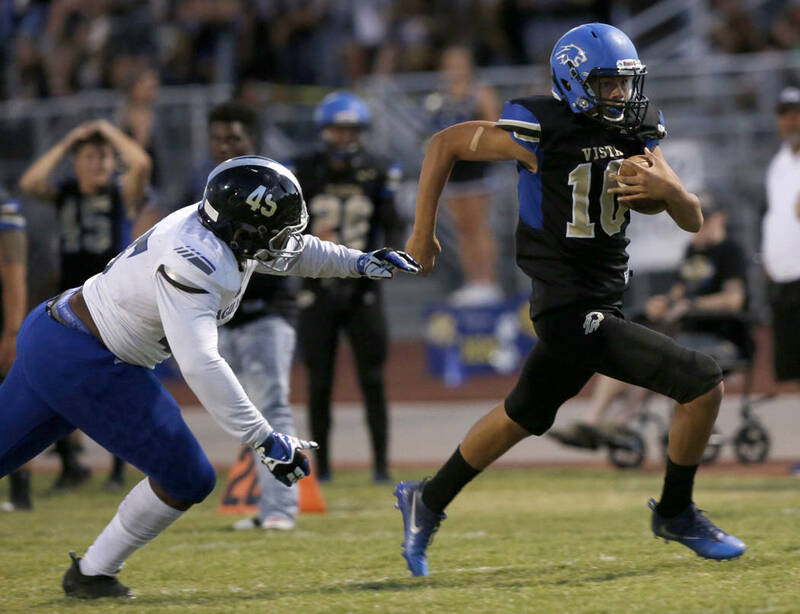 Desert Pines senior quarterback Tyler Williamson threw for 230 yards and two touchdowns, and junior linebacker Gabriel Lopez recorded three of the team’s seven sacks of Sierra Vista quarterback Jayden Maiava. If Friday was any indication, the Jaguars are ready for the Patriots. Three touchdowns certainly helps the cause. 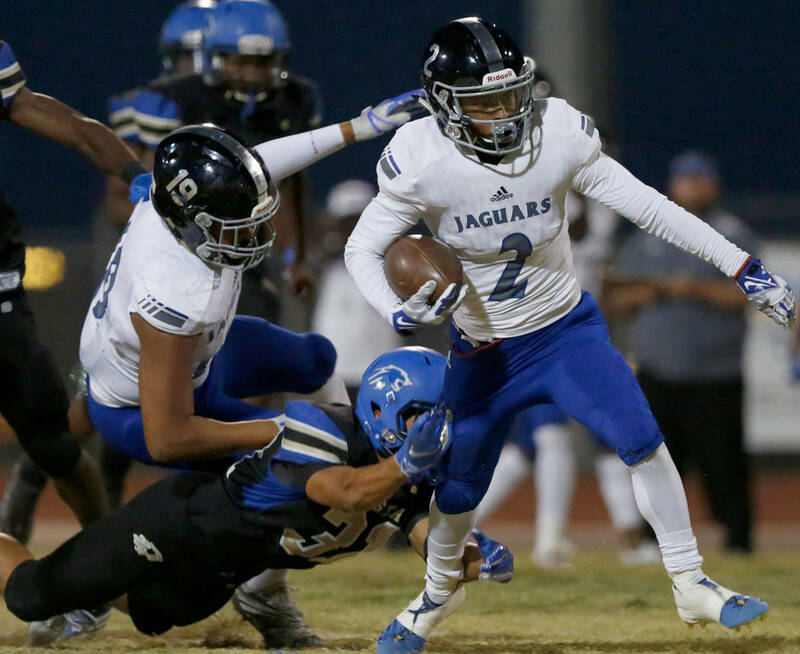 Jaguars coach Tico Rodriguez turned to his second unit for most of the third and fourth quarters with a sizable lead and Liberty looming. 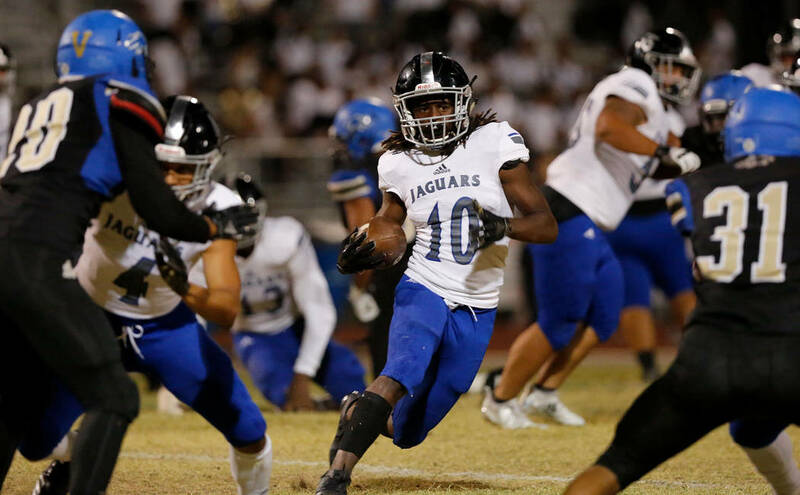 Maiava finished with 203 passing yards, a touchdown and two interceptions in the face of relentless pressure from Lopez and the rest of the Jaguars’ defensive front. 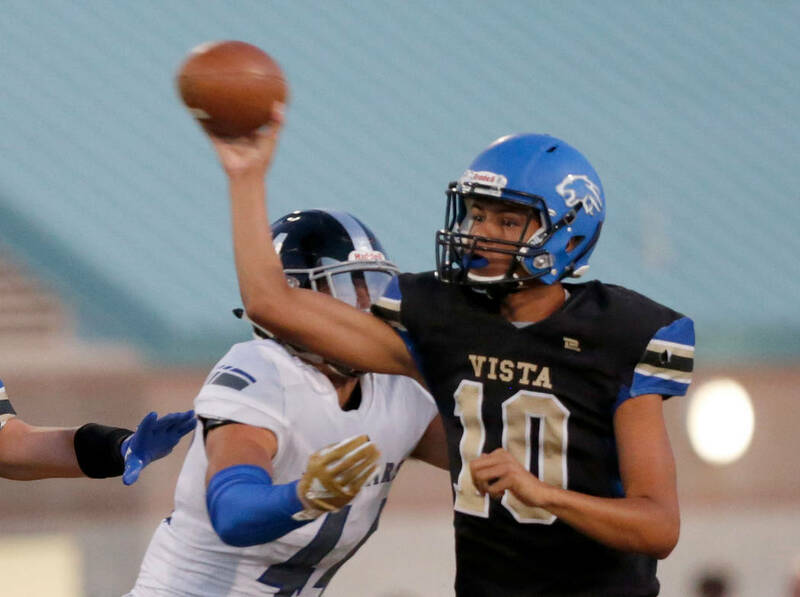 Lopez said the defense wanted to send a message by dominating Sierra Vista. It can send another one next week.